Tirupati Sri Balaji Temple is one of the most popular holiest temples in India. Lord Sri Balaji is also called as Lord of Seven Hills and Lord Venkateswara who is an incarnation of Lord Vishnu. Tirupati temple is popularly known as Sri Venkateswara Swamy Temple which is located in the north-west of Tirupati in Chittoor district, Andhra Pradesh. Tirupati is a place Lord Vishnu chose as an alternative to his celestial home, Vaikunth. The Tirumala hill, place of pilgrimage comprises of seven hills named as Seshadri, Neeladri, Garudadri, Anjanadri, Vrishabhadri, Narayanadri, and Venkatadri. The Lord Sri Balaji temple lies on the seventh hill called Venkatadri. This temple has some interesting and amazing facts that keep attracting visitors as well as people from another religious background. The temple is also one of the most visited holy places in the entire world at an average of 30 Million to 40 Million visitors every year and on a daily basis an average rate of about 50,000 to 1,00,000 pilgrims visiting this place. And this number increases immeasurably on festivals seasons. Do you want to visit this holy temple and wish to get the precious blessings of Lord Sri Balaji? 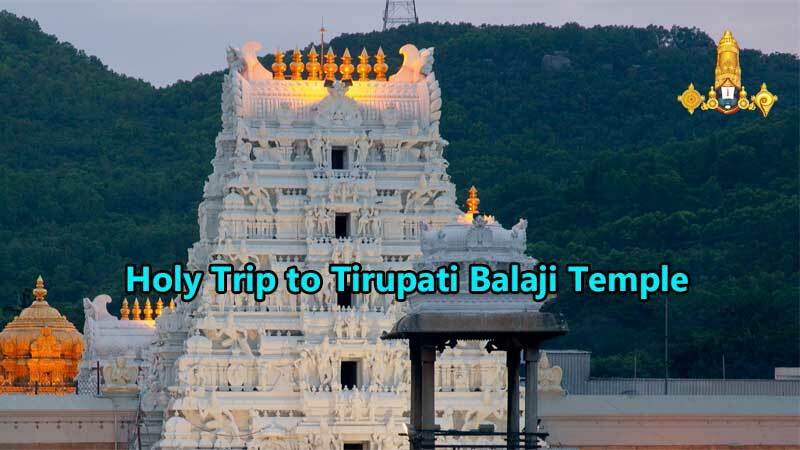 We at Sri Balaji Darshan Travels assist you to plan your holy trip from Chennai to Tirupati Balaji Temple.